Our Family is Growing (by two feet)! – Our Happy Place & Co.
Now that we’ve let the cat out of the bag, I promised myself that once we got pregnant I would start a blog to document the ins and outs of this journey. Dan and I found out we were pregnant January 10, 2014. We chose to keep it fairly secret until we got through the first trimester. We were completely surprised by the news, overjoyed with what was happening and praying for things to stay positive. We told our families a few weeks after we knew, and just keeping it a secret for that long was a challenge! There are so many people who are praying for this little guy or girl and we feel extremely blessed to have the love and support of our family and friends throughout this journey. We were lucky enough to have our first ultrasound on February 3 and we got to see our little baby! What an amazing site – to see that little flicker on the screen of a healthy and strong beating heart. Everything looked great! 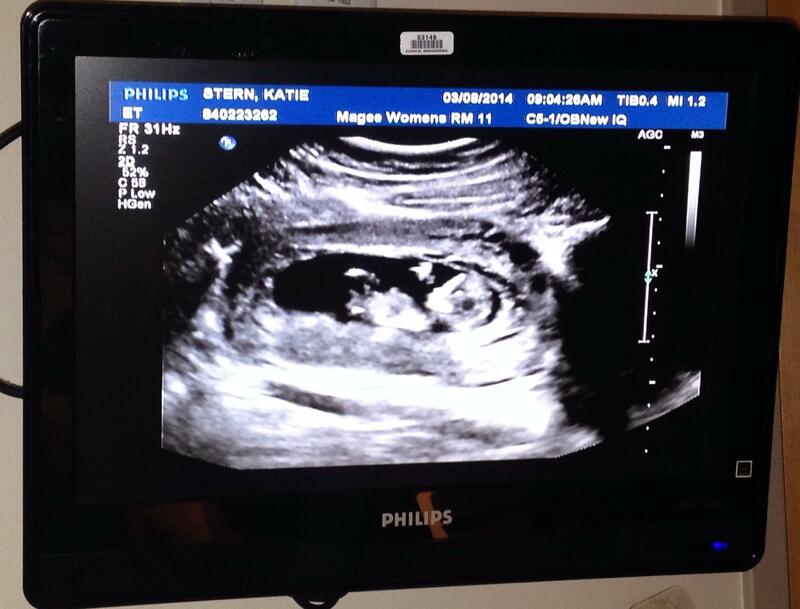 Our official due date is September 16, 2014. We had another appointment earlier this month, March 14, and we got to “hear” the heartbeat. Let me tell you, you wait for the longest time and you have no idea the overwhelming emotion to hear the most amazing sound. It gives you so much hope in what is happening and your heart just grows tremendously to know your little baby is doing so well. We had an ultrasound the week before and both Dan and I were shocked at how much growth had occurred. To actually be able to see little hands and feet – he/she would not stay still the entire time, but the technician said that was a good thing that it was moving all around. Such distinction and such growth in what seems to be so little time – it’s just so exciting! 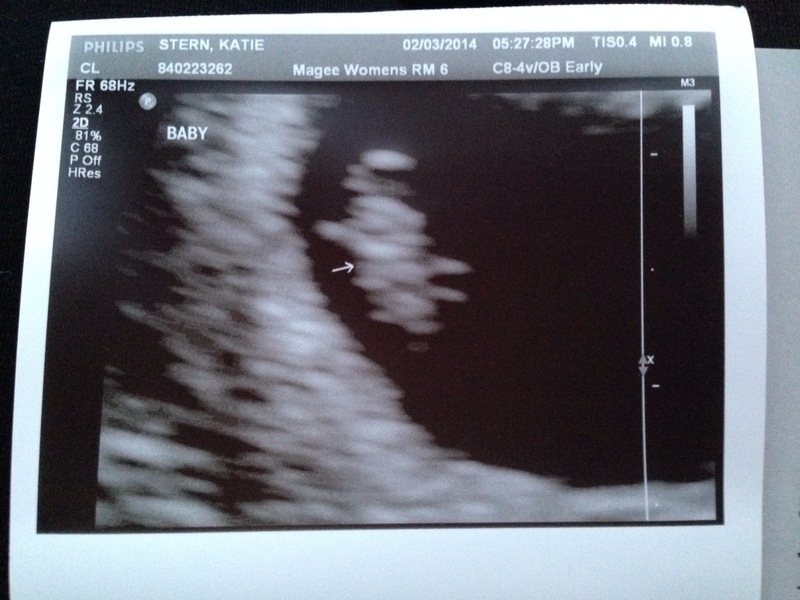 Here is the first official picture of Baby Stern (February 3). And from our second ultrasound/genetic screening (March 8). Going forward, I am going to try my hardest to keep up and keep track of my journey through pregnancy. Hopefully someday we can look back on this and remember what a wonderful time in my life this has been.